We are so confident in the quality of the kitchens, bedrooms and studies we supply, all ranges are supported by a 10-year product guarantee. In the unlikely event that any of the units prove defective as a result of faulty product design, materials or manufacturing processes, during a period of 10 years from date of purchase, we will replace or repair at our discretion, providing proof of purchase has been retained. This guarantee applies to units and doors only and excludes colour fade, due to mellowing and sunlight. Any claims must be made as soon as the fault becomes apparent, through JW Kitchen Fitting. Guarantee covers domestic installation only. All products supplied by JW Kitchens are supported by a manufacturer’s guarantee. Worktops, accessories, fixtures & fittings and appliances are all covered by manufacturer’s guarantees and subject to individual terms and conditions. It is the customers responsibility to ensure all appliance guarantees are registered and any appliance fault should be notified directly to the manufacturer. For all other products, in the event of any fault becoming apparent within the guarantee term, claims should be notified as soon as possible through JW Kitchen Fitting. Guarantees cover domestic installation only and do not apply to consumable or perishable items. Our Warranty is fully transferable and covers the place of work and not a specific customer so can be a benefit if you are trying to sell your property. On issue of our Warranty, the start date and property address are specified and not the customer’s name, so not only are your details protected but the Warranty can be passed on to the new owner. Very impressed. We required a new kitchen and utility room. 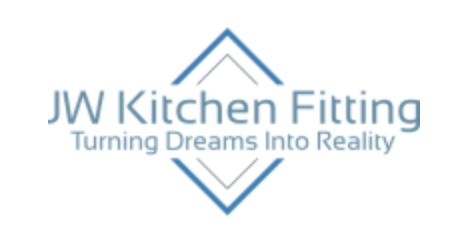 JW Kitchen Fitting provided a complete design, supply and installation service at a competitive price and superior quality when compared to major high street suppliers. Such a refurb is always a daunting prospect but Jim’s professional approach, meticulous attention to detail and helpful suggestions eased the process considerably. We would highly recommend JW Kitchen Fitting. Brilliant work carried out, super pleased with the results. Prompt responses and very supportive team. Couldn’t be happier. Many thanks. Should have done this ages ago!! Jim fitted our wren kitchen back in April. We had a “few” issues with the design which meant a redesign on the spot! Jim did this with no hassle! In fact the redesign is much more aesthetically pleasing as well as being far more practical! Also a bespoke unit was made to match a bought one! Fantastic job cannot praise highly enough! They recently fitted my new kitchen and I was very pleased with their work. A very professional finish despite having a few problems along the way which were handled brilliantly.